1.1 What is an air compressor? 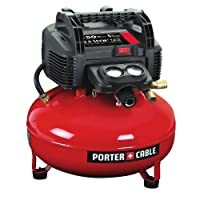 1.2 Types of air compressors? 1.3 What to consider when buying an air compressor? When it comes to choosing an air compressor, it’s very easy to get lost in the many brands available in the market. This is especially so if you are not sure about what you should be keeping an eye on. The truth is that most air compressors will power a vast number of air tools over a broad range of application. However, not all will be suited for your specific needs or fit best with your air devices. Most air compressors will power a vast number of air tools over a broad range of application. To make sure that you buy an air compressor with the right amount of air supply, you will need to equip yourself with the correct information about air compressors. To help you do that, here is our well researched and detailed best air compressor buying guide. Before we go into more comprehensive details about air compressors, let’s start with the most fundamental question. What is an air compressor? An air compressor is a powerful tool that has a large variety of applications. It can be used in home garages, workshops or industries to power many devices. 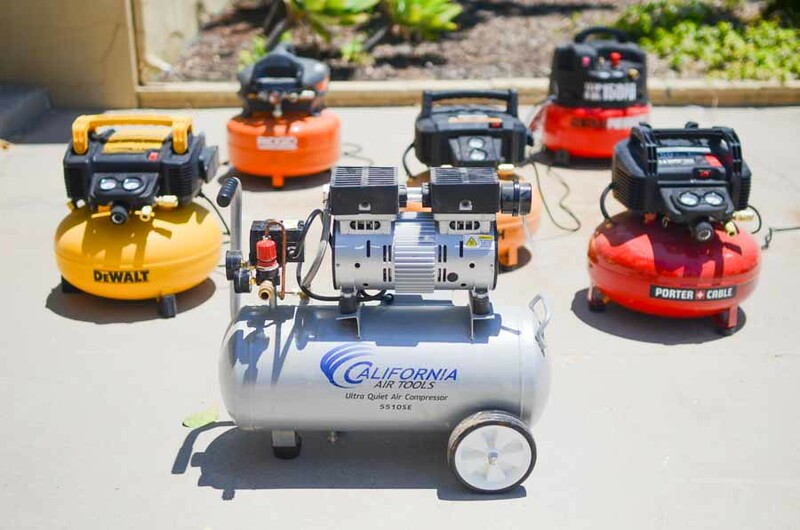 The reason why air compressors have become popular and a must-have tool for both domestic and professional uses are that they help handle your projects efficiently and faster. An air compressor is a powerful tool used in home garages, workshops or industries to power many devices. Air compressors are designed to perform a wide variety of functions. For this reason, some compressors may be superior to others in different work situations. To help you understand better, let’s take a more profound look into the types of air compressors. One of the most obvious distinctions between air compressors is in their portability. As you can tell, stationary air compressors are obviously meant to be kept in a permanently fixed position in your workshop. They tend to have huge air tanks making them extremely powerful. For this reasons, these air compressors are preferred for industrial compressed air needs. Portable air compressors are much smaller with smaller tanks making it easy to move around. On the other hand, portable air compressors are much smaller with smaller tanks. This makes them very easy to move around. These air compressors shine on the portability feature which is usually enhanced by inbuilt handles for easier movement. It gives you greater flexibility and freedom to the usage of compressed air. When choosing an air compressor, you will need to choose between oil-free compressors and oil lubricated one. Oil lubricated air compressors require adequate lubrication for maximum performance. The most notable benefit to this type is that they are more durable because of the reduction in wear and tear. This makes them ideal for instances where a lot of compressed air power is required. They also provide a much quite operations for a calm working environment. The oil-free air compressors require less maintenance as compared to their counterparts. Moreover, they tend to weigh a lot less than the oil-lubricated air compressors. On the downside, they are not as durable as the oil pump and are also a lot noisier. The pancake designed air compressors are the lovable unit that incorporates a lightweight design for portability and easy to store. They work quickly on your small lighter duties at home. Mostly they are also oil-free. However, they are known to be quiet noisy. Hot dog air compressors are popular with hobbyists who need more power. Hot dog air compressors have bigger tanks than the pancake air compressors. They are popular with hobbyists who need more power. This type of air compressors is on the heavier side as compared to pancake air compressor. They also feature an inbuilt handle for easier transportation. The main difference between a single stage and a two-stage air compressor is the number of times air gets compressed once it gets into the air compressor. Needless to say, a single stage air compressor compresses air once while a two-stage compresses twice. 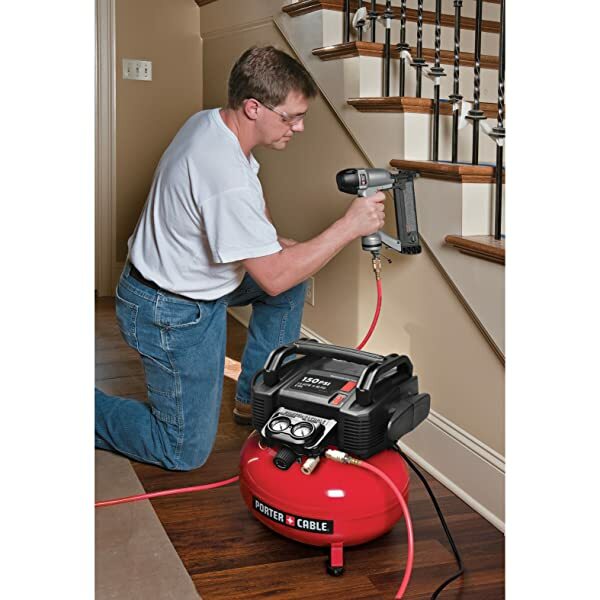 The two-stage air compressor produces a lot of power making it ideal for large tools and projects. The single stage air compressors are very portable, and they also lend gasoline power while the two-stage compressors are generally electrical. 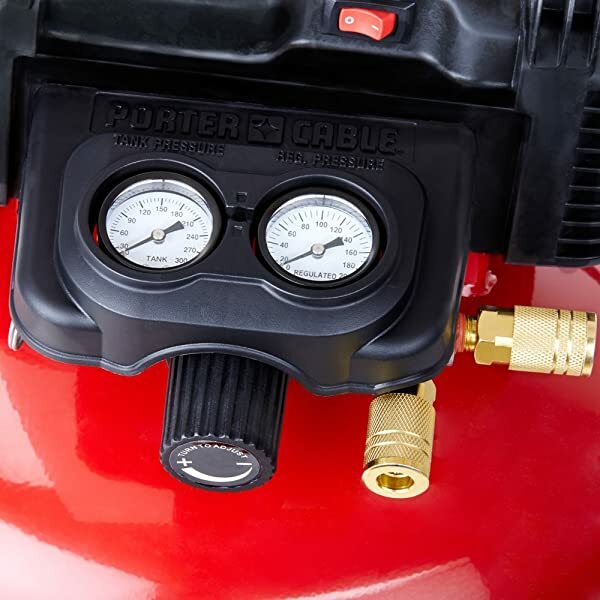 What to consider when buying an air compressor? This is measured using pounds per square inch gauge. It measures the continuous power the air compressor inputs into the shaft. Most home garages will do well with a 120-150 psi. However, professionals may need more than 150 psi to run tools. This refers to the cubic feet per minute which the amount of air that a compressor can produce. Most air tools require a specific CFM to run. It’s best to go for a machine that has the most CFM so as to ensure that you can run a wider array of tools in your garage. You should note that tools like sanders and grinders and others that often run continuously require the highest CFM. It is the measure of the intensity of the sound produced by the air compressor during operations. Needless to say a lower noise level is preferred over a noisy air compressor. The best sound rating should be below or close to 60dBA for domestic use. However, anything below 60 is still tolerable to use. If you go beyond 85dBA you will need appropriate hearing defenders as exposure to this noise levels can cause hearing problems. The horsepower rating is the continuous power output from the motor shaft. Though not a direct measure of the ability of the air compressor but a more powerful motor means higher air flow and pressure. A larger gallon means that the machine has the air compressor has enough stored air to run your air tools. A bigger tank will hold more air which translates to the amount of work you can do. However, you are better off with an air compressor with a small tank and high power discharge than with a large tank with low-pressure discharge. In summary, consider a compressor that has a high gallon, produces high CFM, use the least horsepower and lowest dBA. Considering this specs will help you make the right purchase. The material used in the construction of an air compressor will relate directly to its ability to last for a longer time even when under harsh working environment. Do you go for a compressor made of stainless steel with less corrosion effect or compressor made of cast iron, which is strong? For industrial use it advanceable to go for cast iron material but for home use, stainless steel should be the option. Most heavy duty air compressors are oil lubricated. However smaller air compressor tend to be oil-free which reduces the level of maintenance needed. If you are working in an environment with restrictions on the noise levels then you will need to go for the most silent air compressor. 60dB or lower is considered to be the safest noise level for home air compressors. However for anything above this you are advised to wear ear protection. The size of the air compressor will determine the portability of the compressor. But also check other feature like wheels and a handle because a compressor can be of big size though it has wheels that enhance portability. For home use, a portable air compressor is better than a large one. If you are operating a heavy duty tool you will need to go for an air compressor with a higher PSIG and CFM. In this case, you will need to go for a large air compressor with a higher CFM and PSI capacity. The primary goal of an air compressor is to provide compressed air for your tools. The air compressors can be used for domestic purpose, in construction sites or garages, as well as in industries for big projects. You need an air compressor that satisfies your needs or can handle the task at hand. Look for an air compressor that meets all the requirements before making a purchase. For instance, if you need an air compressor for industrial tasks then look at a compressor with high PSIG, CFM/SCFM, and gallon. However, when you are in for an air compressor for domestic use, then go for on with lower decibel as well as low to medium gallons. So, what are the key things to consider? When choosing an air compressor, the key things to take note of are the specifics and the features. Make sure they meet your requirements. You need to go for an air compressor with the right size, power and easily portable. If you are looking for an air compressor for your DIYer functions then a small unit will do just fine but for large industrial tasks, you may want to go for a larger air compressor. The above information is very crucial when you want to be confident when purchasing an air compressor. It will guide you towards choosing the right make that fits your needs. There are many different air compressors available on the market today. Some offer much more benefits than others. Settling on the most ideal unit requires you to do extensive research, consultation and testing different offers. Fortunately, this doesn’t have to be you. We have compiled comprehensive list best air compressors on the market today. It aims at narrowing down your choices to some of the air tool devices that you can use for professional or domestic services. To make things for you, we have outlined some of the most basic and unique features to help you in making a decision. Bottom Line When you need to perform small to medium jobs then Bostitch BTFP02012 is a highly recommended tool. If you are searching for an air compressor that will offer you the maximum services over an extended period, then PORTER-CABLE C2002-WK is the product you need. PORTER-CABLE C2002 is highly portable and exceptionally easy to use for different tasks for from filling tires to firing nailers. 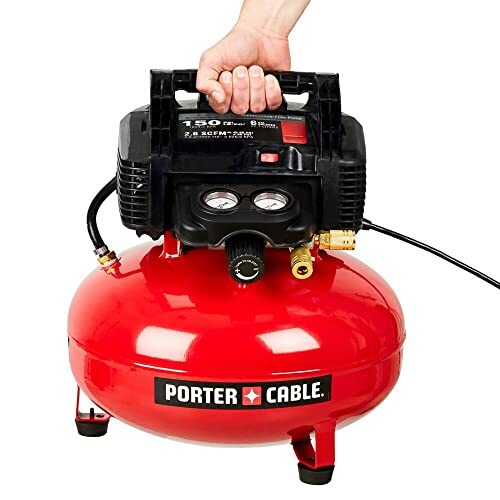 Despite the few shortcomings, the porter cable is a compelling choice for people who need a highly portable yet functional air compressor. Why Taking PORTER-CABLE C2002 Oil-Free UMC Pancake Best Air Compressor? The pancake compressor breaches the gap between professional and enthusiast users of air compressors. The air compressor wins at being both portable and performing exceptionally well. The portability feature means that you will have no trouble moving it from one location to another. Besides, the 6- gallon air storage unit does an excellent job of storing an adequate amount of compressed air. This is more than enough to complete both small and medium-sized jobs with no hassle. It can also be used in a cold environment even as when it’s as low as 20 degrees weather. This is due to the fact that is an oil-free compressor. The two outlet feature is super convenient when you are using multiple tools or when you invite a friend over to work on a project. Remember to drain the unit after every use to ensure durability. Large storage tank capacity for stability. Highly portable as it comes with a shroud, a console, and a handle. Easy to use in all weathers. Has dual outlets for multiple tool usage. High pressure at 150 PSI and stores enough air in the tank hence longer running time. Fast recovery time at 2.6 SCFM at 90 psi and allow amp for durability and efficiency. Its oil-free and thus requires no regular maintenance. It is quite loud whereby the vibrations cause it to move around on the concrete floor. The 13 pieces accessories are of low quality and unsatisfying. The durability of some parts is questionable due to the low quality, e.g., the valves and the regulator. 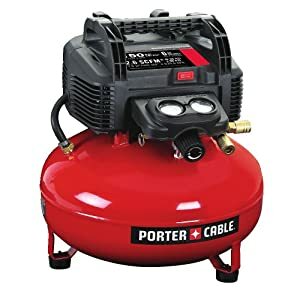 What can PORTER-CABLE C2002 Oil-Free UMC Pancake Best Air Compressor be used for? It is easy to use, making it ideal for both domestic and professional use. The only limiting factor is that you cannot use the porter cable air compressor for industrial work, but you will have a fun day for small to medium tasks. If you are looking for a versatile unit that can handle all domestic needs, then you will get your answer from the Bostitch air compressor. 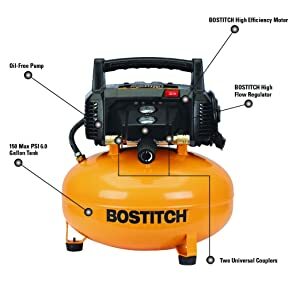 Why Taking Bostitch BTFP02012 6 Gallon 150 PSI Oil-Free Portable Best Air Compressor? 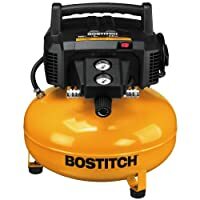 Bostitch BTFP02012 is a lightweight compressor. Despite its incredible working efficiency, Bostitch BTFP02012 compressor only weighs 29lb, making it very portable. Additionally, the Bostitch BTFP02012 compressor is capable of producing 2.6 cubic feet of highly compressed air every minute. You will be able to do small to medium tasks with such pressure without a hassle. Bostitch BTFP02012 has also a highly efficient motor. Even in low temperatures where motors of other compressors fail, you can be sure that BOSTITCH motor will operate without any problem. Besides, it has an extension cord which makes it ideal for outdoor jobs. And if you are in a hurry or want to accomplish more in a short time, the Bostitch BTFP02012 compressor has two outlets that you can use concurrently. If you are not using the two outlets, the outlet that is not in use will automatically close. Amazing, right? Comes in a 6-gallon tank compressor is a lightweight and highly portable. It has an oil-free pump that requires no maintenance. It delivers 2.6SCFM*90PSI. The tank holds air at a pressure of 150PSI for longer running time. User-friendly as Bostitch BTFP02012 is built with the user in mind. It cannot be used to perform industrial jobs. Though not as loud as some other models in the market it’s still relatively loud. 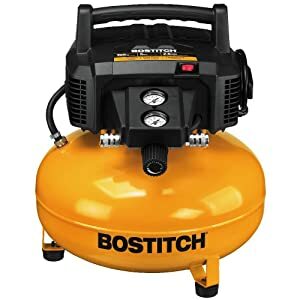 What can Bostitch BTFP02012 6 Gallon 150 PSI Oil-Free Portable Best Air Compressor be used for? It has incredible features that will go a long way in favoring a light to a medium job. The air compressor is ideal for both domestic and professional users who are looking for an air compressor that can handle less industrious tasks. PORTER-CABLE C2002-WK is incredibly compact and convenient as it takes the least space while providing maximum power. The lightweight feature that allows transportation to various locations very easy. This is one of the handiest tools you will have in your tool collection. Why Taking PORTER-CABLE C2002-WK Oil-Free UMC Best Pancake Air Compressor? The pancake air compressor is one of the most user-friendly models available. 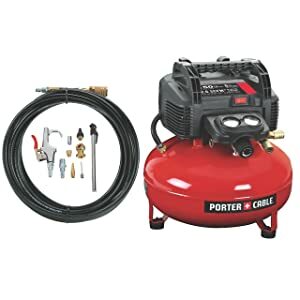 Porter Cable compressor has an air coupler and a plug installed on the hose which means that even beginners will find it easy to use. It has a 150PSI which does wonders to its running time. Weighing only 34 pounds, you will be able to move it from location to another with minimal effort and takes up little space for storage. It also has a 120v motor that runs smoothly even in cold weathers. Though it’s quite powerful, the design is only suitable for small to medium sized tasks. Therefore if you are planning to undertake massive jobs, you may not find this portable air compressor of much use. You may find that the change of output to be extreme. These changes can cause you to take a longer time to finish up tasks. Longer running time because of 6-gallon capacity. The oil-free pump which does not require maintenance. It comes with a valuable 13 accessory kit. SCMF OF 2.6 AT 90 PSI allows for quick and satisfactory recovery time. It’s limiting when it comes to jobs that you can perform using it. Its only meant for small and medium tasks while limited to industrial jobs. It is relatively loud and noisy. What can PORTER-CABLE C2002-WK Oil-Free UMC Best Pancake Air Compressor be used for? The product can be used for any domestic small and medium tasks. It can also go as far as completing some less industrious tasks. PORTER-CABLE C2002-WK has simple design and structure hence no special training required to handle it. 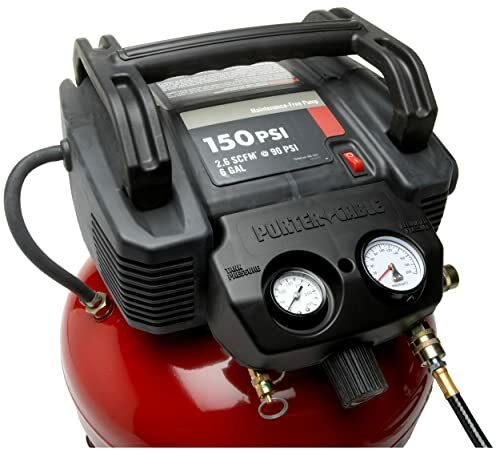 The powerful air compressor is more than a solid choice for a 6-gallon air compressor. The extra power is very appealing to people who like to engage in some elaborate projects in their homes. Additionally, it’s designed with every detail receiving its fair share of attention which is visible from its superior quality. Why Taking DEWALT DWFP55126 6-Gallon 165 PSI Pancake Best Air Compressor? Dewalt manages to hit the list of the best air compressors with thunder. This is because it has outdone itself in pushing the limits of the 6-gallon range of compressors. At 165PSI you can expect longer continuous running hours from this unit. The high PSI makes it reach power limits that some other 6-gallon tank compressors would only dream of. DEWALT DWFP55126 offers 75.5 dBA noise level which is quite remarkable for a quiet work setting. It also has a console cover which protects controls. The console cover is removable to allow faster and easy repair. With two universal couplers, DEWALT DWFP55126 easily supports two users for faster and thorough tank draining. Additionally, the pancake has rubber leg covers which help prevent marring. In addition to 6.0 gallon (22.7 L) capacity tank, the pancake has efficient cord wrap for easy storage. It offers twice the power of the ordinary 6-gallon tank. An oil-free pump that’s easy to maintain. Dewalt can be used even in the most extreme weathers. Two outlets that allow multiple users. Removable console cover for easy removal and repair. Though just a few decibels shy of its competitors the Dewalt compressor is still pretty loud. The noise is to the point where you will need to use earplugs when running it. While it’s very powerful about its tank size, the unit can only handle small to medium sized jobs. You will still need a big powerhouse compressor for your industrial air tool needs. 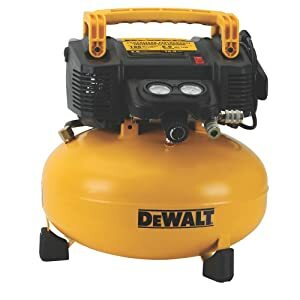 What can DEWALT DWFP55126 6-Gallon 165 PSI Pancake Best Air Compressor be used for? If you are in need of additional power for your medium or small tasks, then we recommend that you consider Dewalt as your compressor. If you look at all the features that come with this air compressor, you will realize that its an absolute bargain. Any professional user is likely to find its power just right and satisfying. However, your decision will be based on what you need most, power or portability? 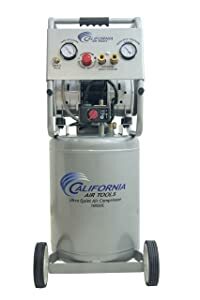 Why Taking California Air Tools 10020C 2 Hp Ultra Quiet Oil-Free Best Air Compressor? Are you in need of a heavy-duty compressor without going for an industrious model? The California air to l 10020c is what you are looking for. The 10-gallon tank provides enough storage capacity which means that its continuous running time is very high. It also comes with two outlets which indicate that you can invite a buddy along for a fun day of fixing stuff or to merely help you finish up on a project quickly. The compressor is massively powerful. Thus, you will have a field day with some of the most powerful tools. Its refill time is also pretty fast running in at just 130 seconds and of course, the icing on the cake is that its oil free. Notably, the sizeable 10-gallon tank is made using steel. Unfortunately, steel is prone to rust which may have an enormous impact on the longevity of the compressor. The California Air Tools 10020C comes with a handle at the top but don’t rush to carry it around because it’s almost impossible. Instead, use the handle to pull or push it around. It is incredibly powerful even with more extensive air tools making it ideal for industrial use. The controls and pressure gauge are easy to read and control. It comes with dual outlets. An air-tight compressor made useful by the twist-on tire chuck. Has an easy start-up valve. A remarkable refill time, which lasts up to 130 minutes when the tank is empty. It is quite heavy to carry around. The wheels though meant to assist in portability they can be a problem when performing some duties. They will require frequent loosening and tightening needed for different tasks. Despite its small size, it has the ingredients of a large compressor. Though not meant for all jobs it will still keep up with most of it. 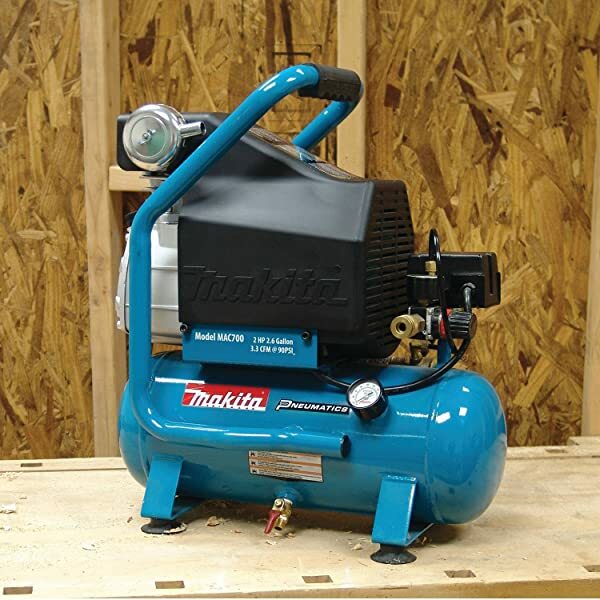 Why Taking Makita MAC700 Big Bore 2.0 HP Best Air Compressor? Makita mac700 is a powerful air compressor that will warm your heart with its excellent performance. It has a one of a kind combination of big bore cylinder on its cast iron pump and pistons which not only work on helping its running strength but also allows it to work over long periods. The 2.6-gallon unit produces a whooping 130PSI, which is quite surprising for such a tiny thing. The set up can be a hard bone to pick especially for beginners. The manual it comes with does little to alleviate difficulties in set up. Due to this some key steps in the setup could be missed cause it to be dysfunctional. It’s very powerful for its size. It delivers 90PSI at 4.2CFM. Comes with a 2.6-gallon tank. Easy to use with its ¼ inch universal quick coupler. Can handle small and medium jobs efficiently. Oil lubricated to ensure smooth running and less wear. A hard to understand manual for a set-up that can be hard to crack. It requires regular maintenance for its oil lubricated parts. 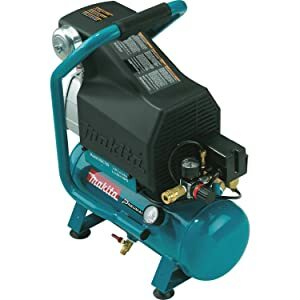 What can Makita MAC700 Big Bore 2.0 HP Best Air Compressor be used for? The Makita MAC700 air compressor is a powerful tool that can handle small and medium tasks with efficiency. Both domestic and professional users could benefit immensely from the compressor. It is incredibly designed for smooth operation. It works on ensuring a smooth running operation and shuts off automatically when you are done. This is one tool that should not miss in your car, and it’s almost as necessary as a car emergency kit. Why Taking VIAIR 400P Portable Best Air Compressor? The VIAIR 400P air compressor works with an incredible air supply of between 0 to 30 PSI. It can inflate a large tire in five minutes! Besides, it is powered by a 12volt and setup with two battery clamp. Its portability means that you can manage to keep it close to you at all times for emergencies. The heavy duty compressor can run for up to 40 minutes continuously before needing rest. 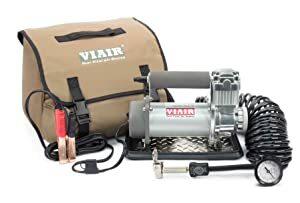 The VIAIR 400P air compressor comes packaged in a carrying kit for convenience in transport. The VIAIR 400P air compressor comes packaged in a carrying kit for convenience in transport. 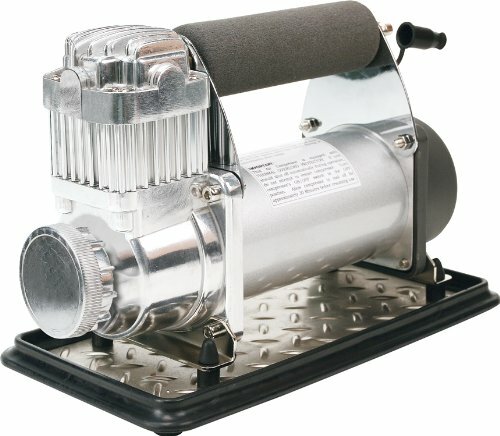 The heavy duty compressor comes wholly accessorized to offer you a complete heavy duty package. Additionally, it consists of a built-in pressure switch, tire inflation gauge, and guns, RV accessories, carrying case and RV accessories. The pressure power is below the expected psi level. Though the compressor works great, you will realize that the pressure gauge is not as expected. It is 5-6 psi lower than the actual tire pressure. Quick connect coupling that is shielded from heat. Vibration resistant plate sand tray. The pressure is a few psi lower than expected. For it to work effectively, you will need to leave the engine running. What can VIAIR 400P Portable Best Air Compressor be used for? The VIAR 400 is one of the best tire inflators in the market. As such, it is a necessary tool for both professional Garage use. Any car owners should also keep it close as it could come in handy. The product is packaged in a compact carriage that is easy to leave in your trunk. The size allows for easy portability and functionality. Why Taking Kensun AC/DC Rapid Performance Portable Best Air Compressor? There are no stopping car leaks. However, when you do not maintain proper tire pressure, the results can be disastrous when it comes to those last-minute decisions. 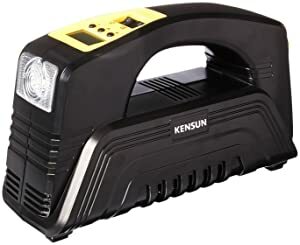 The solution to always keeping your tire in good condition is through the use of Kensun air compressor. Keeping it in your car will ensure that you never have to worry about a flat tire. With additional attachment nozzles and digital presets, the compressor is very versatile. It can inflate care tires which are heavy-duty to beach balls which are delicate. It will be hard to find something that Kensun compressor cannot inflate. From outdoors to indoors tasks, the compressor is perfectly fit for any situation. The compressor also delivers ideal pressure thanks to its unit conversion and digital pressure gauge as well as LCD display. It also has white LED work-light enable you to illuminate in the dark without any problem whatsoever. It has a digital pressure gauge, an LCD and unit conversion that helps in delivering the right amount of pressure. Provides a pressure of up to 90psi. It has LED work light for visibility in the dark. Versatile, in that it has both a car and wall outlet. The attachment to the outlet is wanting. What can Kensun AC/DC Rapid Performance Portable Best Air Compressor be used for? This air compressor works perfectly for both your home and car needs. The extra nozzle means inflating anything is not a big deal for this inflator. The air compressor is designed to produce maximum power at a significantly reduced noise level. This is a product will allow you to work even in the quietest environments without disturbing anyone. Why Taking Campbell Hausfeld DC080500 8 Gallon Quiet Best Air Compressor? The 8-gallon air compressor is a guru in dealing with a variety of inflation tasks. The 8-gallon air compressor was designed to be the quietest compressor in industry. This noise-free unit comes packaged with extra power and convenient. The high performer motor gives it a long life that has been equated to four times the usual lifetime of other air compressors. Its Piston pump system which is dual was engineered for durability and high performance. Compared to other 1.0 HP compressor motors, this unit produces 25% more air. Hassle free and oil-free pump meaning it’s free of maintenance costs. It’s noise free and incredibly functional. Provides a calm work environment. The compressor is faster and easier to use, finishing your jobs becomes easier. 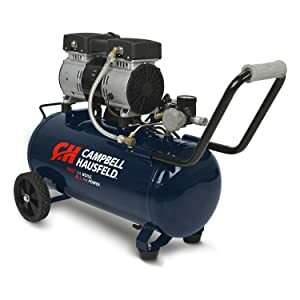 What can Campbell Hausfeld DC080500 8 Gallon Quiet Best Air Compressor be used for? It is ideal for professional use, especially those working in an environment where noise is a major issue. It is incredibility lightweight which means you will have an easy time moving it to various locations. The 6-gallon tank provides an adequate storage for longer running time. It is an oil free model that provides you with all the power you require for your day to day chore around the house. You will also have an easy time using this product even if you are a beginner. The ultra-quiet compressor is a must have for anyone seeking a model capable of handling industrious projects. With an incredible 70 decibels it will allow you to run you job even in the most silent environment. The compressor is extremely powerful with a record refill time of 130 seconds. For any job that requires a lot of power, this would be the best option. The user-friendly model suitable for use for any level of user expertise, is definitely a yes on this list. The 150 PSI unit has a long running time even in the most adverse climate. It is also carefully crafted to last a long time. It produces enough power that can be used for both small and medium businesses. An air compressor is a necessary tool that has varied uses. Therefore, getting an ideal unit is paramount to ensure that you get one that caters to your needs to the maximum. The above list will help you make that decision without a headache. Hi there, thanks for your time visiting my site. My name is Tim Miller from Denver, Colorado. I don’t know why I do love cars and always want to discover them.